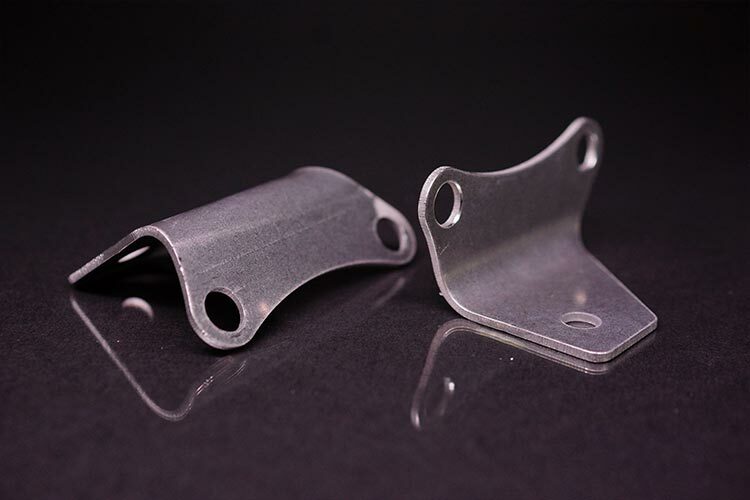 NAECO metal stampings for any volume production run. Low, medium or high volume. A broad range of capabilities. A wide variety of metals. NAECO has been stamping metal parts for our customer’s use as well as for components in our own production for years. NAECO has the right stamping solution for you. NAECO provides precision, close tolerance miniature and micro stampings for medical, electronic and telecommunications applications using bio-compatible materials, precious metals and other non-ferrous materials. Progressive die stamping is ideal for providing multiple features in a stamped part by incorporating the different operations such as cold-heading or cold-forming, into the tooling. As the part progresses through the tool, the different features are added automatically. These operations can be bending, forming, punching, piercing and in some cases, assembly using welding or staking. NAECO multi-slide stamping uses more economic tooling for complex parts that require extensive bending operations. Stamping using a transfer press can enhance the control of individual features and tolerances without large, expensive tooling. Multiple features such as pierced holes, notches, forming, etc. can be included in the part. Tooling is for individual stations so feature changes don’t require re-working the entire tooling. A carrier strip isn’t required, reducing material scrap. 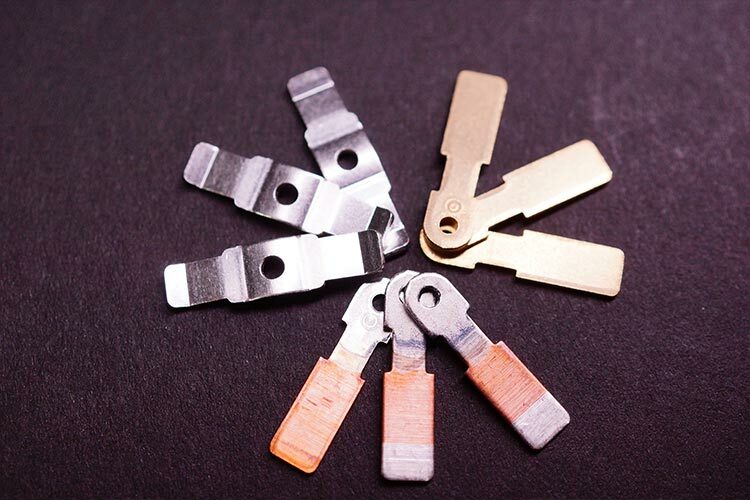 NAECO stampings are produced from many different materials including precious metals such as silver and gold for electrical products, bio-compatible materials such as platinum and palladium for medical products. We also produce parts from copper, brass, bronze, aluminum, tin, titanium, stainless and carbon steel, magnetic iron and other ferrous and non-ferrous metals for a wide spectrum of aerospace, consumer electronics, automotive and power distribution applications, and we’re always utilizing tooling and processes to minimize or eliminate scrap for you.